Drama. Sport. Biopic. Martial Arts. Gay Interest. Art House. Asian New Wave. Dance. Religion. True Stories. 01 Nigel's Choice. Recommended. Nong Toom has become one of the very best at his particular discipline, the ancient martial art of Muay Thai, but unlike many of his fellow combatants, Nong is in search of more than just fame and fortune. In the perfection of his art Nong hopes to find the financial means by which he can redefine his very sexuality. 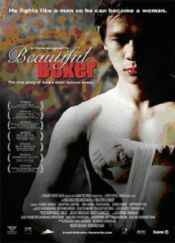 Based on a true story, Beautiful Boxer is a bone crunching display of its art, though, perhaps, some of the emotional subtleties have been lost in between the stunningly choreographed fights.